Afghan Ambassador to New Delhi Shaida Mohammad Abdali said his country is keen to ink a trilateral agreement with Iran and India to facilitate the transit of commodities between Afghanistan and India via Iran’s Chabahar Port. “We are expecting the Chabahar transitory agreement to be signed between Afghanistan, India and Iran in the near future, that will help the trade volume go higher and higher,” Abdali said. 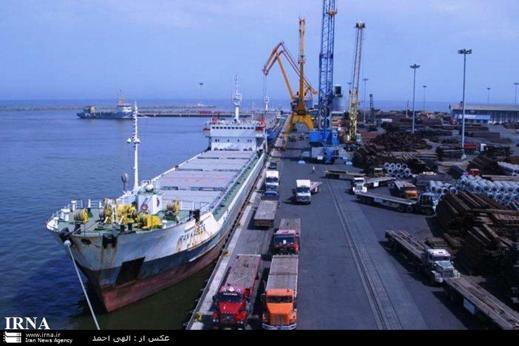 Iran’s southern Chabahar Port provides a short route for the transportation of goods between the two countries. “We are expecting an alternative trade route to Afghanistan which will be sustainable and long term, that is the Chabahar port,” he added. The port is already connected to the city of Zaranj in Afghanistan’s Southwestern province of Nimrouz and can serve as India’s entry point to Afghanistan, Central Asia and beyond. Indian Ambassador to Kabul Amar Sinha had also stressed the significance of Chabahar Port for the transportation of Indian goods to Afghanistan. “Afghanistan and India have already agreed on a draft on the transition that they would use through Iran, the Chabahar Port. We have shared that draft with Iran and are expecting the Iranians to reply very shortly,” Abdali said. He further said the trade between the two countries will see a dramatic rise when the port is used for transit. “I am sure once the port comes into operation in full swing, we can look at increasing the $600 million trade to $5 billion in maximum 5 years,” he added. The Afghan ambassador had earlier welcomed the trilateral transit agreement on Iran’s southeastern port, which is meant to provide a route for trade with landlocked Afghanistan. Chabahar port — located 72 kilometers (44 miles) west of Pakistan’s Gwadar port — holds immense strategic and economic significance for India. Iran and Afghanistan have considerably increased the volume of their trade transactions, trade officials said, adding that the two countries also plan to establish a joint company in Chabahar Free Trade Zone in Southern Iran. “We are looking for the establishment of a joint company with Afghanistan in Chabahar for exports and imports,” Iran’s Commercial Attaché in Afghanistan Mohammad Mehdi Javanmard said. Meantime, Head of Sistan and Balouchestan Industries, Mines and Trade Organization said that the value of Iran’s trade transactions with Afghanistan has hit $2.4 billion and 90 percent of that is from Sistan and Balouchestan province.